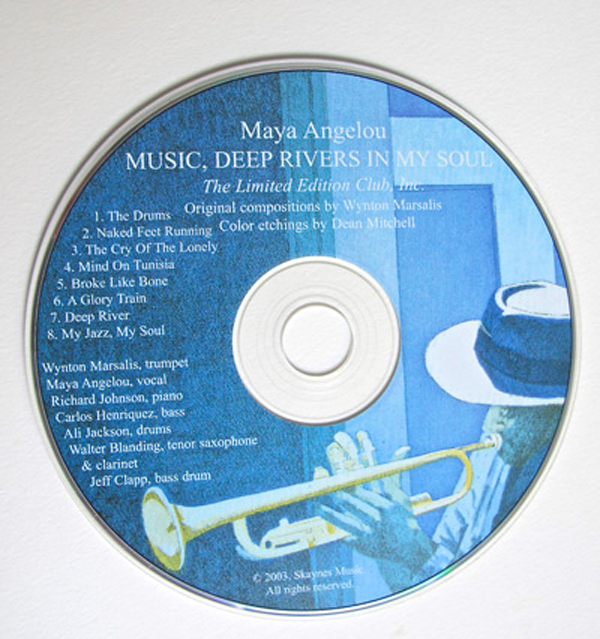 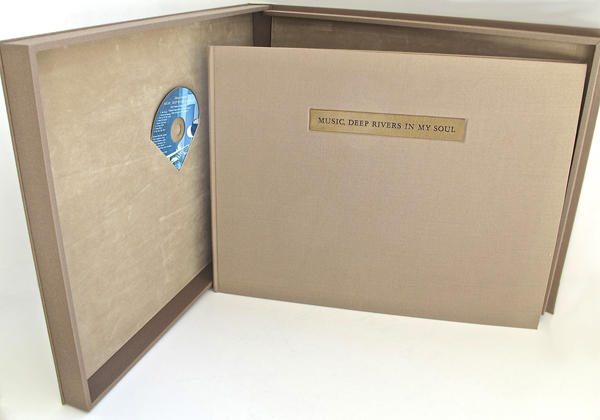 Maya Angelou’s Music, Deep Rivers in My Soul is a groundbreaking event for us, a first edition that she wrote especially for our members! 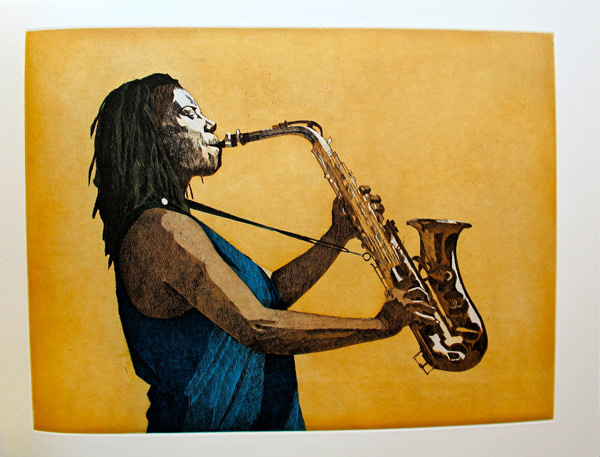 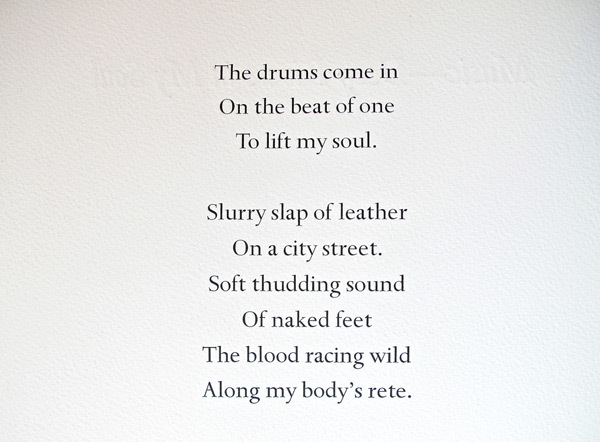 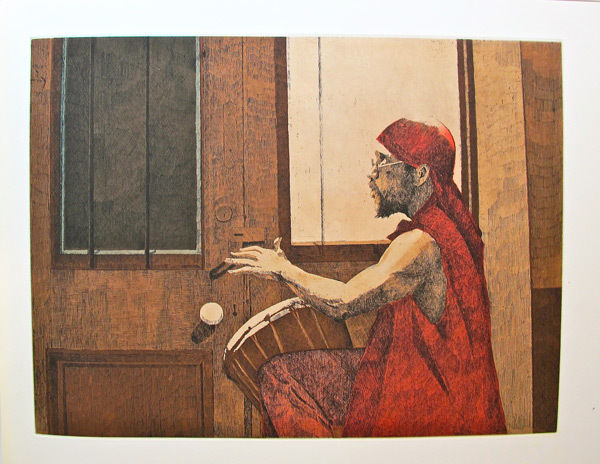 She also inspire the exceptional artist, Dean Mitchell, to create six glorious etchings for the book. 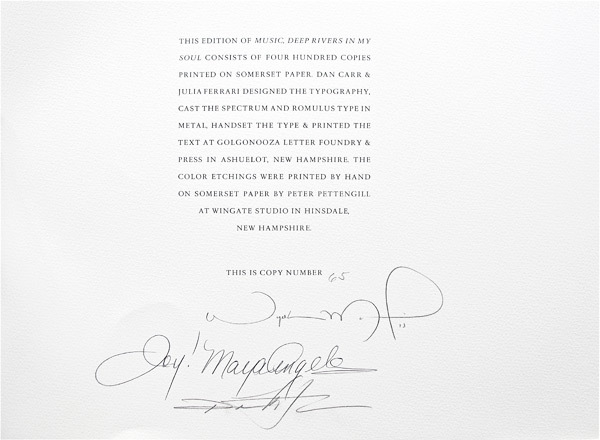 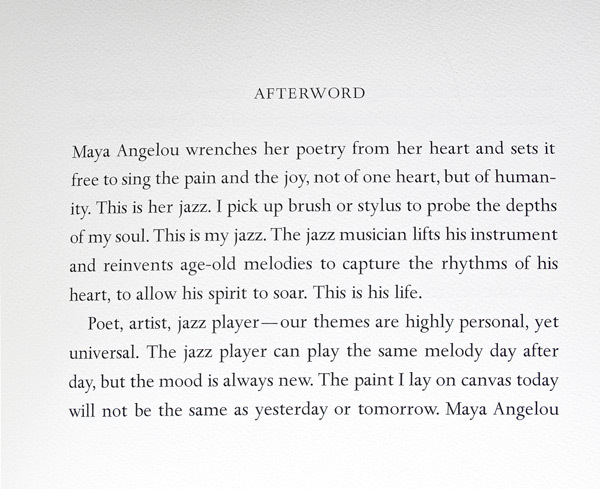 Even better, Maya Angelou inspired Wynton Marsalis to compose and perform with her a thirty minute CD with Dr. Angelou reading her poem. 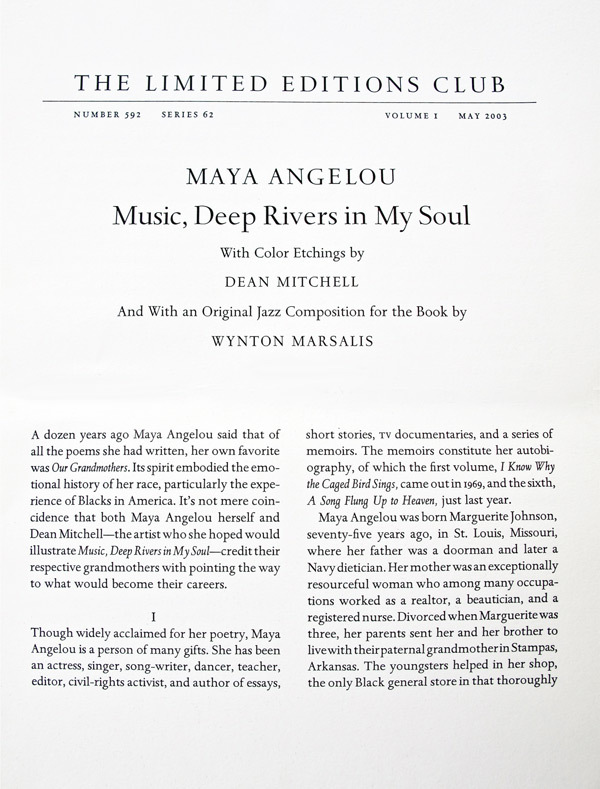 From the art critic of New Orleans’ Times-Picayune: In the world of romantic realism, it doesn’t get much better than this. 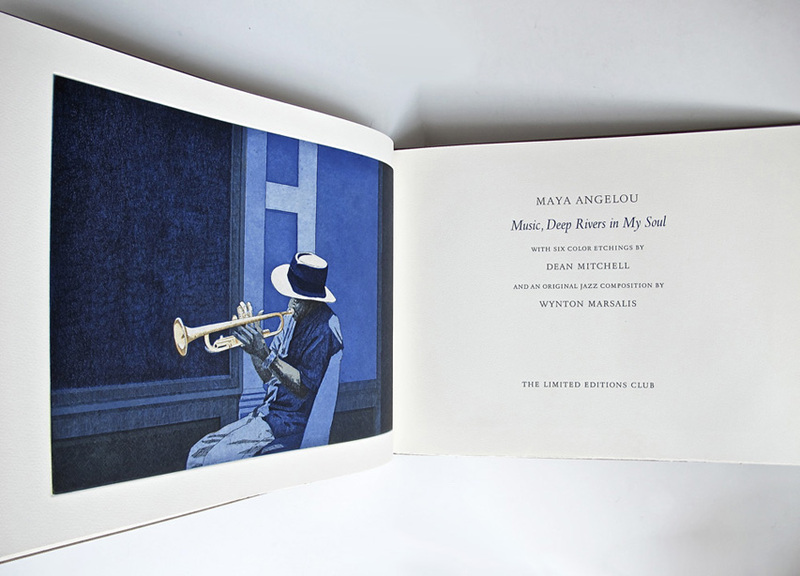 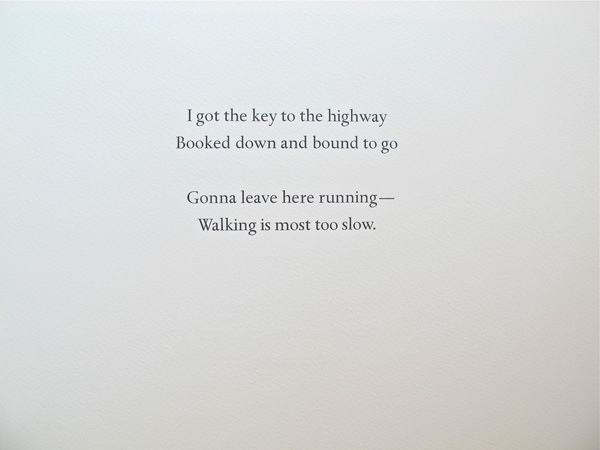 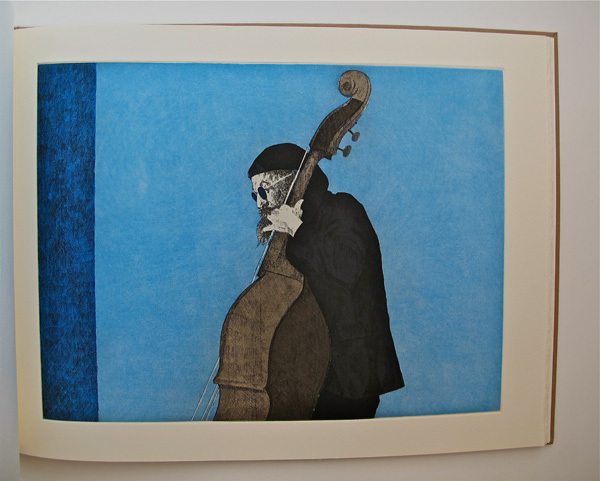 Six colored etchings and Afterword by Dean Mitchell.